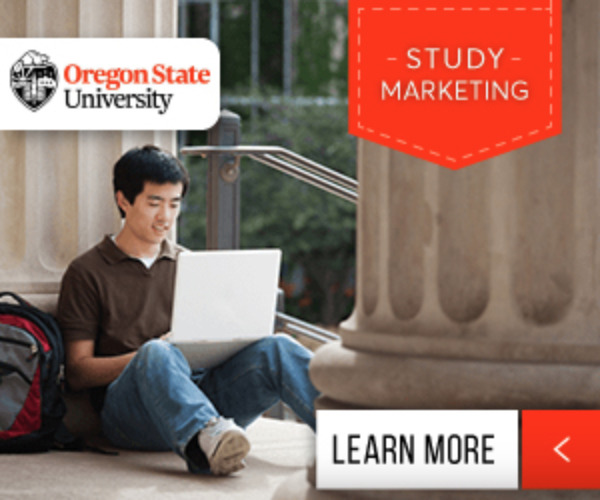 Of all the countries in the world, why should you study marketing in the US? For starters, the United States has some of the biggest marketing companies in the world. The USA has perfected the art of marketing its products and services and is a great place for international students to learn how to do the same. Have you ever noticed that no matter where you are in the world, most people have heard of American brands? You can travel to any country and people are familiar with companies like McDonald's or Coca-Cola. This is all because of the successful marketing techniques employed by American companies. As an international student who wants to earn a degree in marketing, why wouldn't you learn the secrets of how this is done? There are hundreds of options for international students who want to study marketing in the US. Schools like Mississippi State University offer great programs where you can earn a degree in marketing and marketing management. Mississippi State University offers both a bachelor’s degree and a doctorate in marketing and marketing management to its students. MSU faculty members have won multiple national, regional, and university and college-level awards for the quality of their teaching. With a degree like this, international students can pursue careers in advertising, marketing, fundraising, public relations, product management, and more. Almost every single university and college in the USA offers some type of marketing degree; international students will not run out of options when it comes to this area of study. If you search for any list of the best or most innovative marketing success stories, chances are the majority of results will be American companies. Take Chipotle, for example — a fast-food burrito chain that has taken a completely different approach to marketing its products. Chipotle uses fresh and local ingredients in its food and wants to make sure everyone knows it. The company has created unique marketing campaigns such as creating iPod games and apps about ethical food production, sponsoring an informative music festival with cooking demos, and making personalized viral videos about the farmers they get their ingredients from. The company has a completely unique approach to its marketing strategies compared to other fast-food companies and has been able to generate billions of dollars every year. Chipotle is far from the only example of the successful marketing strategies of American companies. People from all over the world recognize American brands and products such as Disney, professional sports teams, other fast-food restaurants, and many exclusive designers. This is due to the successful marketing efforts of these companies and their ability to gain brand recognition internationally. International students who decide to study marketing in the US will be able to intern with some of these successful companies and see first-hand how the marketing world works. The marketing and communications professors at American colleges and universities have a great deal of experience in the industry, which is a great advantage for students who learn from their professors' real-life work experiences. Earning your degree in marketing will offer you many different employment options. The marketing world is constantly changing and developing. Marketing is not a monotonous career that involves doing the same thing every day, and this is what makes it so interesting. One day you may be monitoring and updating your company's social media sites; the next day you could be flying to another country for a promotional event. A week later you'll be producing a video about your newest product. It's an exciting career path and choosing to study in the US can help start you on your path to becoming a professional in the industry.